Live Events: A Marketing Goldmine For You! Few if any developments in history have had the effect on event marketing the Internet has. A lot of companies have used it to build empires. But as useful as it is, the Internet is used by people. And people are social by nature. Consider the explosive growth in the popularity of social media. We crave connection with our fellow human beings. But we must have more than just an online connection. We need face-to-face interaction with other people. Live events can be a great tool to help you build your customer base, and they can strengthen the bond you have with your existing customers, leading to those very important repeat sales! So even though you and I, as marketers, can leverage the power of online marketing and profit greatly from it, we can enjoy even more success by adding in-person events to our marketing toolbox. And we can create a powerful synergy that will help increase our sales in a big way when we use online marketing technologies to effectively promote live events, and then effectively use the event to bring attention to our powerful online marketing presence. So today lets talk about how marketers like you and I can use online technology to promote in-person events (we've just talked about why we would want to hold these events in the first place) and specific steps we can take to harness the power of these events to develop an even stronger online event marketing presence. Certain businesses, by their nature (for example, local retail establishments) are more likely to employ live events. But many more could benefit greatly by holding such events than are currently doing so. A lot of business owners may be suffering from the misconception that live event equals expensive, hard-to-manage large trade show or convention. It doesn't have to be this way. Indeed, for most businesses, it shouldn't be this way. The event doesn't always have to be one that you sponsor, for you to benefit. You could arrange to be a vendor at an event or tradeshow sponsored by another company or organization. Be properly prepared and market your services or products well, and you could give your business a very nice boost, even as a guest vendor. But don't stop with merely announcing the event and giving details such as time and date. Harness the power of great copywriting to sell the event. Tell the readers of your event announcements why they would want to be there, how it will benefit them to be there. Use very powerful persuasion techniques such as scarcity – mention that only a certain, specific number of event attendees will be allowed, and have an expiration date for registration. Make it abundantly clear in your copy that no one will be allowed to sign up once the expiration date has passed. With online event marketing, you can successfully promote an event. But here's something you don't want to forget: Use your in-person events to build up your online marketing presence. On all printed event-related marketing collateral include your URL and social media addresses. At the event, “sell” attendees on joining your email list. Collect their email addresses for addition to your email database in exchange for something of value, perhaps a half hour free consultation or in-store discount. After the event, keep the goodwill and marketing momentum you just gained rolling. Send each attendee a Thank You email that also subtly sells them on the idea of buying from you. Add those who requested to be included to your email list. Is there something you promised them, or something they requested, such as a free consultation? Follow up with them to see that it happens. 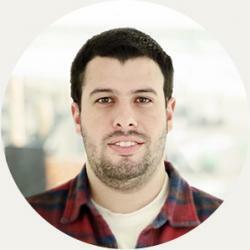 The role of landing pages is conversion. And when you are promoting a live event, you are selling, in a sense. You are trying to convert the reader into a signed-up event attendee. You could try to get great conversion results from an online event signup service. This might work for you. But don't you agree you could convert readers into event attendees much more often with a first-class landing page? 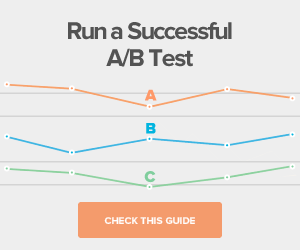 A landing page powered by persuasive copywriting? And clean, uncluttered design and graphics, including relevant images that give readers a vivid idea of what they can expect and how they can benefit from attending your event? A landing page where every single element is properly set up to help you accomplish your conversion goals? Also, consider this scenario: you have worked hard, investing a lot of time and effort to put on your live event, whether it was a trade show, a seminar, or an in-store sale. You've smartly placed interested event attendees in your marketing funnel. Through your email and content marketing activities, you've lead them through your funnel, and now many are on the verge of making the leap from lead to customer. And given all the time, effort and money you've invested in guiding them through your funnel, doesn't it make sense to use a powerful landing page to help you enjoy a higher conversion rate? 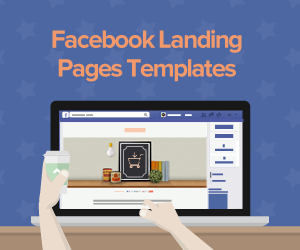 Not using a landing page could very well cost you a lot of post-event sales. After all the hard work you did to put on a great event and draw attendees into your funnel, you could still suffer the loss of many great sales opportunities by not harnessing the power of a great landing page. Built-in video support – video makes a lot of shoppers more confident in their buying decisions! Spectacular images - to help you arrest and keep your readers’ interest! 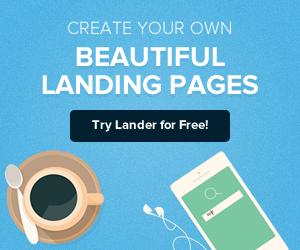 Plus, each Lander template comes with a mobile-optimized version. Let's face it, people today are glued to their smartphones and other mobile devices. 30% of US consumers use them while shopping. And you can bet that quite a few of your potential event attendees will be reading about your event on their mobile devices. A mobile-optimized landing page will help you convert a higher percentage of them. 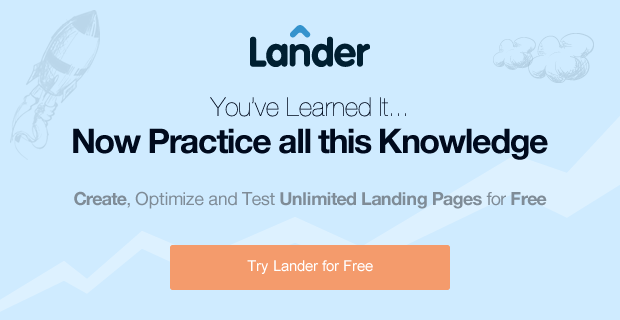 Do you see how Lander could help you launch your online marketing campaigns into the stratosphere? Want to give it a try? We'll be happy to have you as part of the Lander family! 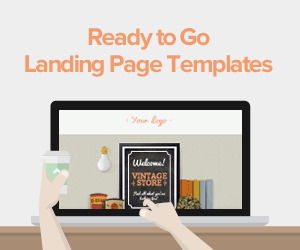 You can give any of our landing page templates a trial run for free and with no obligation! If you have any questions, feel free to contact us today.